Between walking them, grooming them, cleaning up after them and feeding them, dogs are a lot of work — and they can be expensive. And yet there is something so incredible about owning a dog that overcomes all of the time and money pet owners put into them. Dogs bring love and affection to their humans, along with companionship and a host of other benefits. At Paw Pals, we know firsthand the joys of dog ownership. For most of our staff and clients, dogs are more than just pets — they’re family! Perhaps you need some convincing as to why you should own a dog to counter the fear of inviting daily pet care responsibilities into your life. If so, read on to learn about just some of the good that comes from having a four-legged companion. Study after study has shown that dogs — unlike any other animal — can improve our mood and therefore our health. Dogs are incredibly intuitive animals, and crave attention and affection from their humans. They are fantastic at interpreting our emotional state, and providing support when we need it. Having a dog can be a huge boost to your mental health for a variety of reasons. Dog owners are less likely to suffer from depression than people without pets. Playing with a dog can actually increase the levels of the feel-good chemicals serotonin and dopamine in our brains, giving us a sensation of calm, peace and happiness. Having a dog can help anyone who craves companionship or touch, easing loneliness for anyone who might otherwise feel all alone in their life. After all, it is hard to feel lonely or sad when a dog bounds up to greet you at the door — or to stay inside when your dog is prancing about, hoping for a walk. The therapeutic effects of interacting with dogs have been well-documented, especially with people who have experienced trauma. While owning a dog is not a cure-all for mental health issues (which should be treated appropriately by a professional), dog ownership can boost your overall mood. Having a ready companion, a snuggle buddy and something that depends on you every day for food, affection and attention can be a great help — which is just one reason why having a dog is a great idea. Along with your mood, dogs can improve your physical health. It makes sense: if you feel better overall, with lower levels of stress and anxiety, your health will improve as well. The research backs this up: people with dogs may experience positive health effects. When you pet a dog, your stress and anxiety may immediately decrease— which tends to reduce your blood pressure. One study even showed that people with high blood pressure saw a decline in their borderline hypertension status within 5 months. That’s pretty powerful “medicine!” Pet owners tend to have lower cholesterol levels than people without pets, and visit the doctor less frequently (up to 30% less for people age 65 and older!). Dog owners also have a much greater rate of survival among heart attack patients. One reason that dogs can make us healthier is because they require regular exercise, which means that their humans exercise alongside of them. Taking your dog out for a walk or run is a great way to exercise every day. A dog’s daily exercise needs help people to meet their health goals, forcing pet owners to get out of the house no matter what the weather is — and giving them an incentive to get in shape. It has been shown that dogs can help people lose weight, even without changing their diet. A daily walk can have a significant impact on your health — including lowering your weight. Dogs also provide structure to your daily life, requiring you to be up and about every day to feed your dog, let him or her out, and take your dog for a walk. Having a regular routine is an important part of maintaining a healthy lifestyle — and it is nearly impossible to stay in bed when your beloved pooch is staring at you with big eyes! For the elderly, dogs can increase their longevity by giving them a purpose and helping them to connect with others. A dog encourages playfulness, laughter and exercise — each of which is a powerful way to boost your immune system and overall health. For patients with dementia or Alzheimer’s disease, having a dog in the home can help reduce overall stress and emotional outbursts. Having a pet to stroke and hold can decrease anxiety and help to improve overall behavior, particularly for those patients who are unable to verbally communicate. For kids, having a dog can help a child form healthy relationships, having a constant companion who is not critical and is always supportive. Dogs help kids to relax, giving them a source of calmness through petting and cuddling. They also provide a source of incredible happiness for kids. Children with challenges such as hyperactivity or aggression can be calmed by the presence of a dog, provided that both the child and the dog have been trained to behave properly around each other. Kids who grow up with pets have a lower risk of allergies and asthma. They tend to learn responsibility and compassion by caring for pets. For kids with autism and other difficulties that may make it challenging to communicate, dogs can be a lifeline to the world around them. Many children who are unable to connect with their families and friends find themselves forming a strong bond with a dog, as the pet helps them to regulate their stress and calm themselves. A dog responds well to nonverbal communication, which can make a dog an ideal companion for a child who is unable to express him or herself verbally. A pet may ultimately help a child with autism communicate with people around him on her. Beyond having a relationship with our pet, dogs help us connect with the world around us — including other people. Whether you walk your dog around the neighborhood, at a park or on a trail, you will get the chance to meet and talk to other people every time you venture outside with him or her. When others see your dog — pet owners and non pet owners alike — they may be more inclined to stop and talk to you, or to ask to pet your dog. Fellow dog owners may want to arrange play dates with dogs, or ask for tips on the best vet, groomer or type of food. Because dogs force us to get out and about every single day, having a dog improves your chances of making connections with a diverse group of people — which is a major benefit to anyone! There is no denying that there is something unique about the bond between a dog and his human. Dogs are incredibly loyal creatures who will stick by you through the ups and downs of life, giving you a constant companion and source of comfort and strength. Dogs often know when we are happy or sad; they spend much of their lives observing their humans and can pick up on subtle and not-so-subtle cues that we are not feeling our best. This helps them to form a close bond with their owners. A dog may come put its head on your lap when you’re feeling down, or do something to make you laugh when you are sad. Using nonverbal communication, dogs will do what it takes to help you feel happy — and will stand by you no matter what. While there can be no doubt that dogs bring enormous benefits to the lives of their owners, they are also a major responsibility and commitment. Do not buy or adopt a dog unless you know that you can dedicate significant time and attention to your dog — and unless you are willing to exert some effort (and spend some money) taking care of your dog. Remember before getting a dog, that they require a lot of care. This can be a good thing, but it may put a damper on some of your plans, like going to happy hour after work or taking a last-minute trip. A dog means that you have to commit to daily exercise, lots of petting and mental stimulation. Dogs can also be destructive (intentionally or unintentionally! ), so you will have to be OK with having the occasional chewed up shoe or accident on the carpet. They may also require a degree of training to be sure that they are safe to be around kids and other people, so you will have to be willing to commit to training your dog responsibly. Finally, keep in mind that dog ownership comes with certain costs: vet bills, medication, flea dips, vaccinations and pet food. If you think that you are up for these challenges, a dog might be the right choice for you. 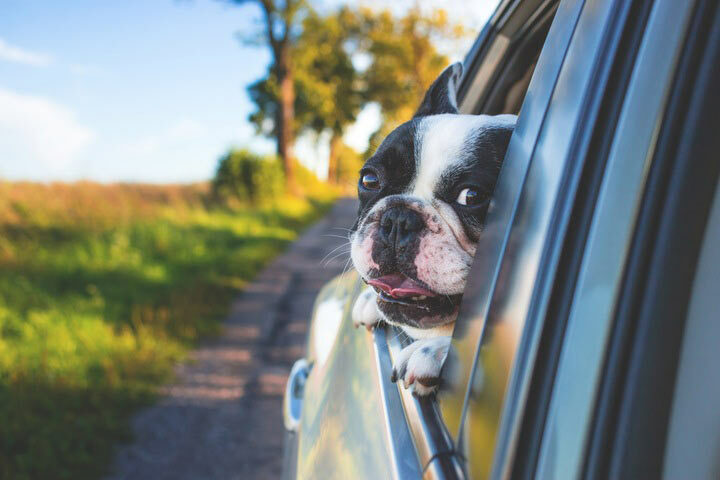 Every responsible pet owner needs options for taking care of their dog when they are out of town, at work or otherwise unable to provide love and attention to their dog. Pet care professionals can help meet these needs, providing pet sitting and dog walking services at a reasonable cost to help make sure that your dog is well cared for even when you are otherwise engaged. If you would like to know more about how Paw Pals can help you take care of your dog or other pet, contact us today!